Amy Levine is the Executive Director and Director of Education & Training of the Doula Program to Accompany and Comfort, Inc. Amy creates all Doula Program training curriculum and is the lead trainer for the Doula Volunteer training. Amy first joined the Doula Program in 2004 as a consultant, ultimately becoming the Program Director. 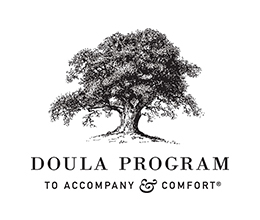 In 2012, The Doula Program was established as an independent nonprofit organization under the leadership of Amy Levine, the Program Director at the time. Amy's extensive professional experience includes hospice and psychiatric services for older adults. Amy created the unique Palliative Care Doula Volunteer program utilized by major hospitals and designs and implements Doula Volunteer programs for healthcare and social service organizations nationally and internationally. In addition, Amy is a frequent presenter at hospital Grand Grounds on topics to include end-of-life conversations and conducts training for both healthcare and social service professionals on end-of-life issues. She has lectured at the School of Medicine and Dentistry at the University of Central Lancashire in the United Kingdom and was a keynote speaker, joining Dr. Ira Byock for Capital Care's annual conference in Canada. Amy has provided guidance to interdisciplinary teams on the development of specialized volunteer programs for long-term healthcare administrators in Edmonton Canada and support for end-of-life care for Age U.K.
Other programming includes workshops for the Hospice and Palliative Care Association of NYS Conference, Rutgers University in New Brunswick NJ and Sarah Lawrence College in New York. Amy received a Masters of Social Work degree and a Certificate in Worksite Wellness from New York University, and is a graduate of the End-of-Life Practitioners Program of the Metta Institute, Sausalito, California. She is licensed to practice social work in New York and New Jersey. Program Associates support the work of Doula Volunteers.